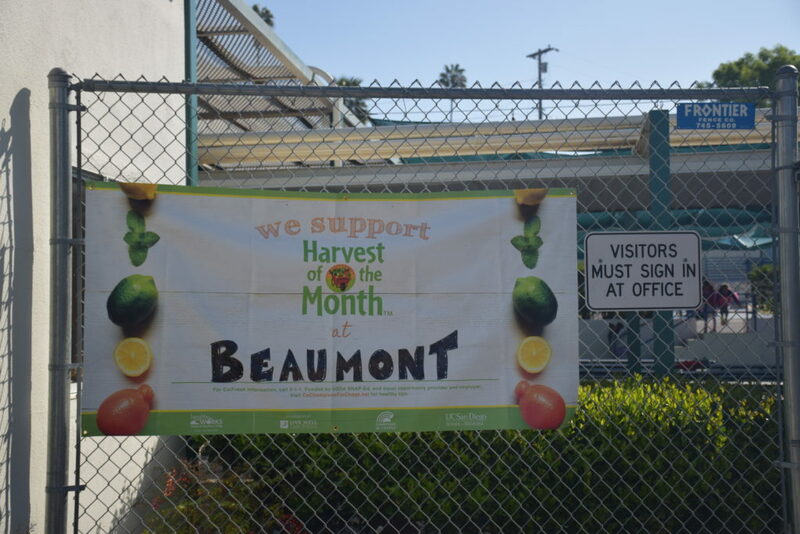 On February 29, 2016, the California Department of Public Health paid a special visit to Beaumont Elementary School in Vista, CA to observe San Diego County’s Harvest of the Month in the Classroom program. 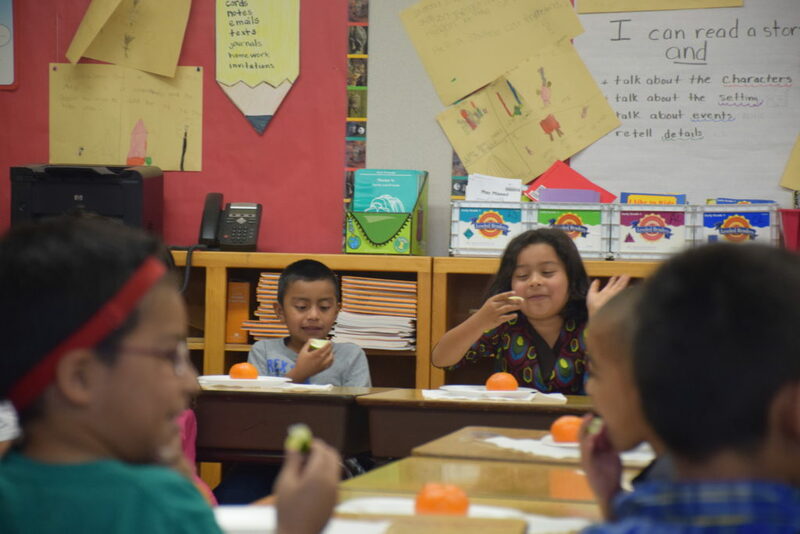 Harvest of the Month in the Classroom is designed to motivate and empower students to increase taste preference for local, seasonal fruits and vegetables and strengthen their connection to local farms. Beaumont Elementary was selected for this special visit due to the strong engagement of its nutrition education champions. These school champions include first grade teacher Mia Piro and school kitchen manager Deanna Wilson, who initially advocated to bring the Harvest of the Month to Beaumont Elementary. Beaumont Elementary teachers have been implementing the first year of the program in their classrooms. 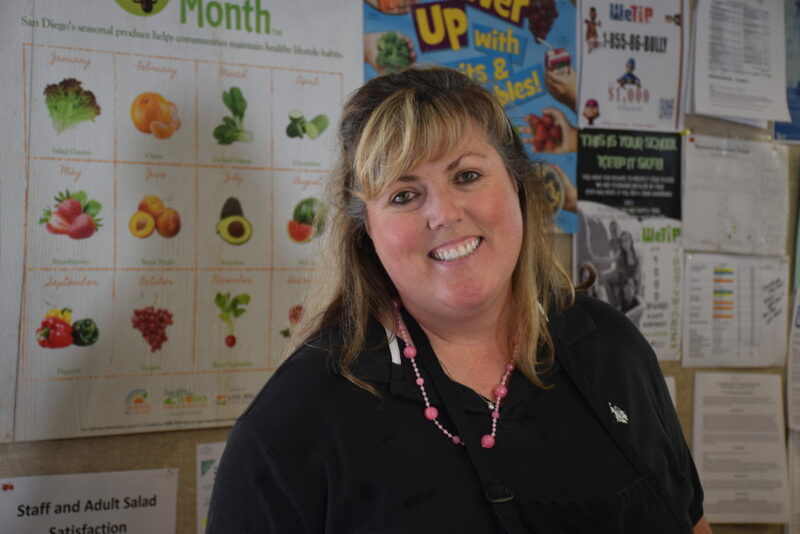 In San Diego County, Harvest of the Month is a two-tiered program connecting local farms to elementary students through their school cafeterias and classrooms. At the broader first tier, school districts procure and promote one featured Harvest of the Month seasonal fruit or vegetable each month on their cafeteria salad bars. At the second tier, all students in grades Pre-K through 5 are engaged in the classroom setting. Through curriculum-based, experimental learning, students taste test the featured Harvest of the Month fruit or vegetable and learn about where it’s grown. Beaumont Elementary is one of only three elementary schools in Vista Unified School District implementing this school-wide second tier. Harvest of the Month is a program of the California Department of Public Health (CDPH) and is implemented throughout San Diego County by the UC San Diego Center for Community Health (UCSD) with support from the County of San Diego Health and Human Services Agency (HHSA) and the San Diego County Farm to School Task Force. 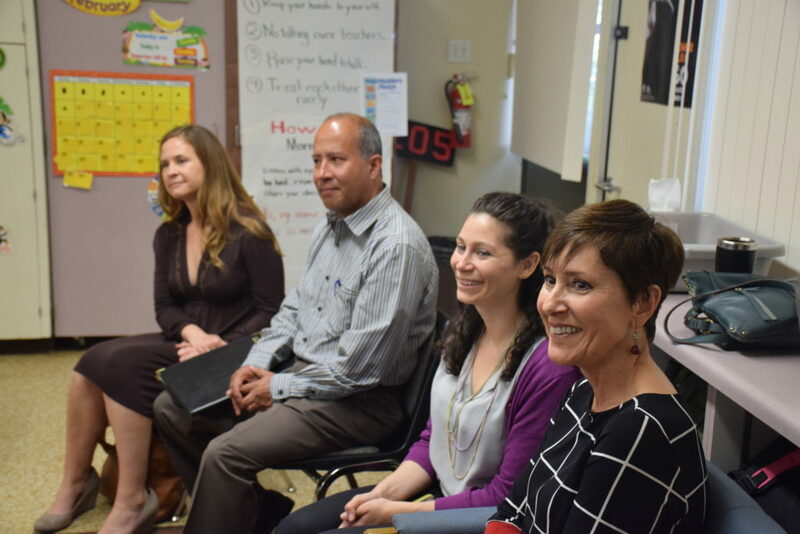 For the February site visit, teacher Mia Piro hosted guests from UCSD, HHSA, and CDPH’s Nutrition Education and Obesity Prevention Branch Project Officer. 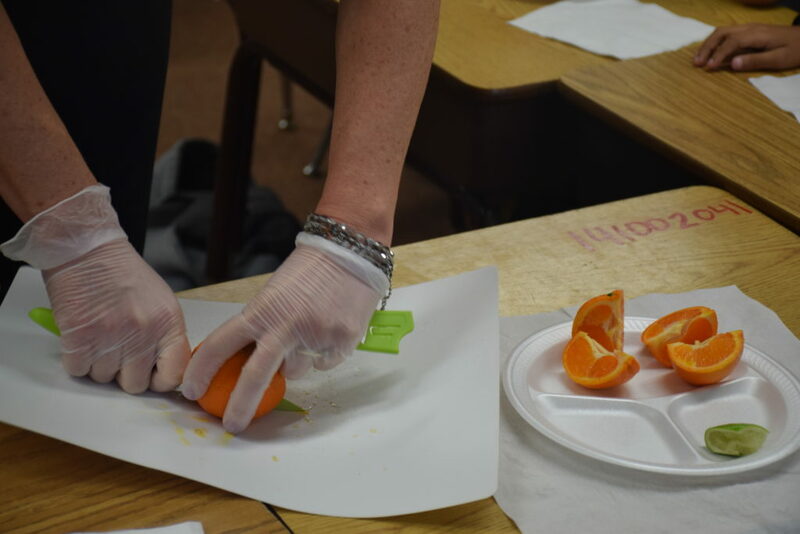 Guests were able to observe Ms. Piro conducting her February Harvest of the Month lesson on citrus. Her first grade students taste tested local oranges and limes. Funny facial expressions were in abundance! 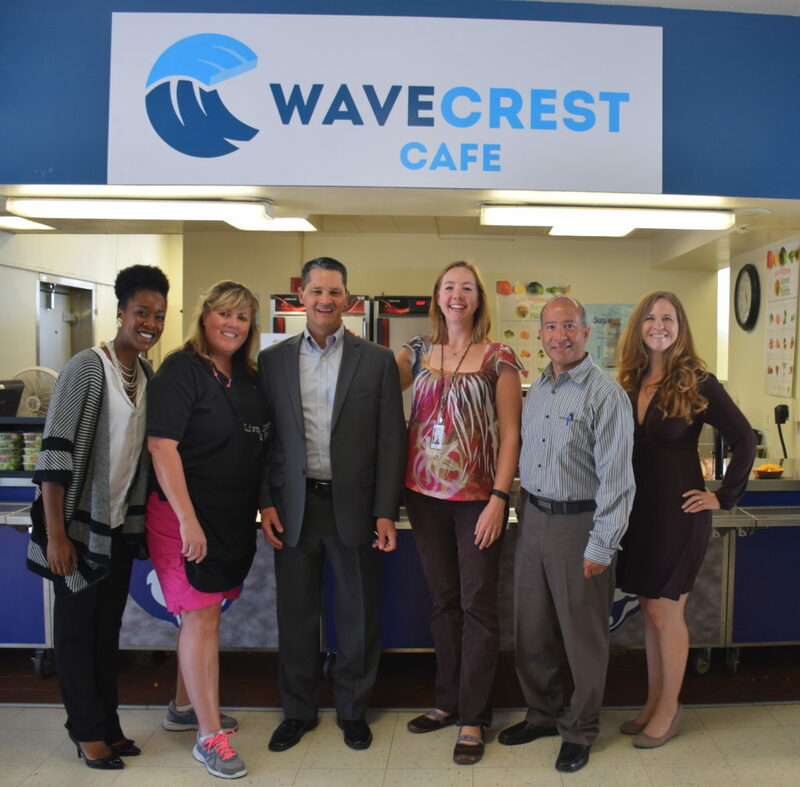 After the classroom visit, Vista Unified School District’s Nutrition Education & Training Supervisor Amy Haessly provided a tour of Beaumont’s Wave Crest Café and the guests were able to meet kitchen manager Deanna Wilson and her dedicated staff. Amy is a real champion of the HOTM program and supports the program in an additional 148 classrooms throughout the district! In conclusion to an awesome visit, guests were invited to eat a delicious school lunch with Beaumont’s Principal, Dr. Moore, and Beaumont students. UC San Diego Center for Community Health wishes to thank everyone who made this site visit a success and extend a special thanks to Beaumont Elementary School’s teachers, who are making nutrition education an ongoing part of their student’s academic enrichment! Next Article: New Success Story Videos!